Chest wall reconstruction is indicated following tumor resection, radiation wound breakdown, or intrathoracic sepsis. Principles of wound closure and chest wall stabilization, where indicated, are discussed. Principles of abdominal wall reconstruction continue to evolve with the introduction of newer bioprosthetics and the application of functional concepts for wound closure. The authors illustrate these principles using commonly encountered clinical scenarios and guidelines to achieve predictable results. Pressure ulcers continue to be devastating complications to patients’ health and a functional hazard when it occurs in the bedridden, patients with spinal cord injuries, and the neuromuscular disease population. Management of pressure ulcers is also very expensive. The authors describe standard options to treat defects of the chest, abdomen, and back and pressure ulcers in all anatomical areas. Comprehensive understanding of principles and techniques will allow practitioners to approach difficult issues of torso reconstruction and pressure sores with a rational confidence and an expectation of generally satisfactory outcomes. With pressure ulcers, prevention remains the primary goal. Patient education and compliance coupled with a multidisciplinary team approach can reduce their occurrence significantly. Surgical management includes appropriate patient selection, adequate debridement, soft-tissue coverage, and use of flaps that will not limit future reconstructions if needed. Postoperatively, a strict protocol should be adapted to ensure the success of the flap procedure. Several myocutaneous flaps commonly used for the surgical management of pressure are discussed. 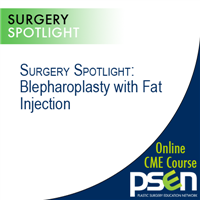 Commonly used flaps in chest and abdominal wall reconstruction are discussed and these should be useful for the practicing plastic surgeon. 1. Describe the principles of wound closure, torso reconstruction, and pressure sore reconstruction. 2. Outline standard options to treat defects of the chest, abdomen, and back and pressure ulcers in all anatomical areas. 3. Manage and prevent pressure ulcers.